Eleaf’s iStick range is world-renowned for quality and performance and the iStick Amnis continues this trend in fine form. The latest addition to the range retains its predecessors’ simple yet effective nature in a more ergonomic design whilst featuring the first sliding top fill GS Drive tank and GS Air M atomizers. A soft feel light-weight body integrated 900mAh battery and it can output up to 30W of power. The Eleaf iStick Amnis Starter Kit is your new vaping best friend. The Eleaf iStick Amnis Starter Kit is a new member of the iStick family. 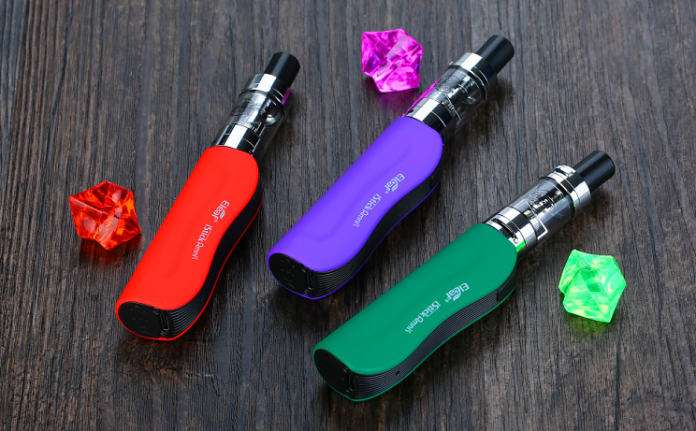 With a built-in 900mAh battery, the iSitck Amnis battery brings a stable power support so you can vape all day long. The slim design of the Amnis makes it so portable it can always pop right in your pocket. 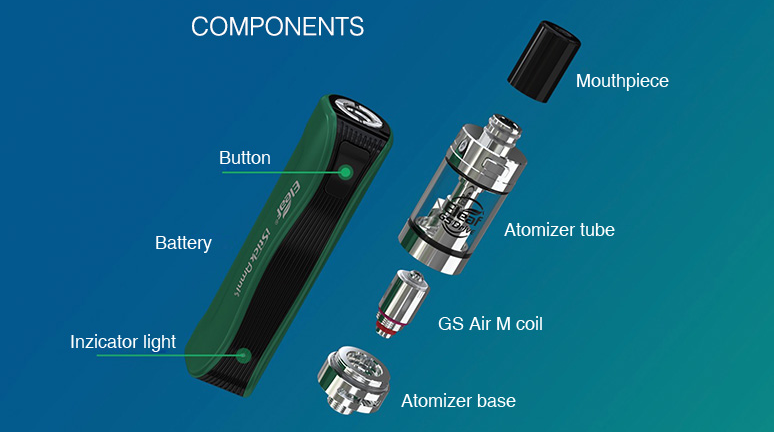 The GS Drive atomizer has a 2ml juice capacity and easy top-refill. The all-new GS Air M 0.35ohm coil and GS Air 0.75ohm head provide an optimal flavor and massive cloud to vapers too. Available in 6 different colors shown above, Black, Green, Purple, Red, Silver and Blue. This for this I like the green, it is vivid and something a bit different actually. Plus, I mean, ELEAF – green comes to mind doesn’t it haha! 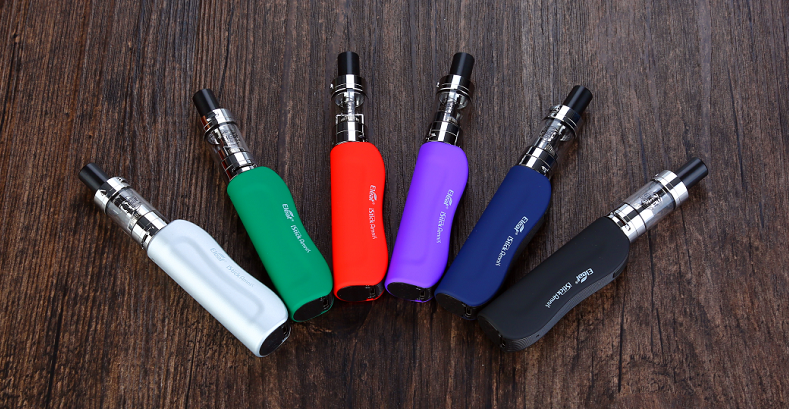 The Eleaf iStick Amnis is incredibly small but packs an impressive 900mAh battery capacity into a compact design and is capable of providing up to 30W of power. The soft body and ergonomic design provide comfort and convenience for the daily device. The next feature, the coils are mesh, the first GS atomizer head utilizes this technology. It provides a sub-ohm coil, with the large surface area. This means great clouds of vapor and outstanding flavor. What every vaper wants, right?! As with many, but it is still essential, this device has the childproof system. None of us want our little ones getting their little fingers on our mods, tanks or e-liquids! Could you imagine if they did, it would be all over the new along with exploding vape devices! This is the first GS tank to have a sliding top fill – hello! An ideal fit for a wide range of e-cigs which saves you money, this makes maintaining your tank simple too. Bottom airflow can adjust your vaping experience and it has a robust glass and metal construction which is great if you are using this device 24/7! Another important aspect is that the device has you protected against all possibilities. You need to know that you have the fail safes when you need them and this certainly has all of them, so no fear the iStick is here! Another great device at a great price of $28! It fits with a lot of e-cig devices and is robust and sturdy so really, I think it is great value for money. This is not a purchase that will only last you a few months, this is for a while. Can’t wait for Eleaf to release this newbie and we can all put it through its paces – let me know your thoughts!